Help Biscuit get ready for Santa in this lift-the-flap holiday adventure, featuring flaps that open to reveal exciting surprises! Biscuit gets ready for Santa's arrival in his newest gatefold book, with surprises under every flap! 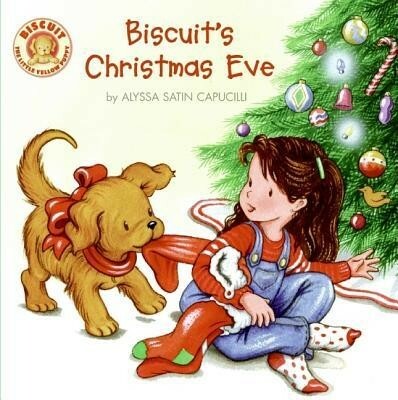 Alyssa Satin Capucilli is the outstanding author of the Biscuit books and many other beloved children's books. She lives in a book-filled home in Hastings-on-Hudson, New York. I'm the author/artist and I want to review Biscuit's Christmas Eve.